Meet Dr. Sanjay Jatana's Clinical Team, click here. 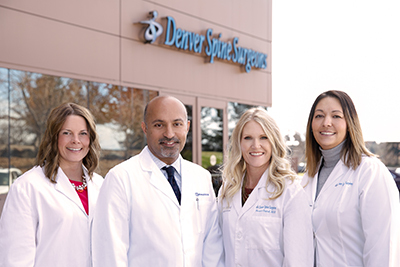 I would like to take this opportunity to welcome you to Denver Spine Surgeons and introduce you to my team. With your best interest in mind; I have assembled a team that includes a Physician Assistant who work with me in both clinic and in surgery. My Medical Assistant/Surgery Coordinator has been working with me since 2000 and coordinates the care of patients and the communication with referring physicians, hospitals and imaging centers. Our goal is to provide quality care. This will most likely include multiple visits to the clinic. As a result, you will periodically be seen by one of my physician assistants at your scheduled appointment. Please be comforted in knowing that all of your medical care is under my supervision. Toreen Ovind is a 20-year veteran of the medical field. 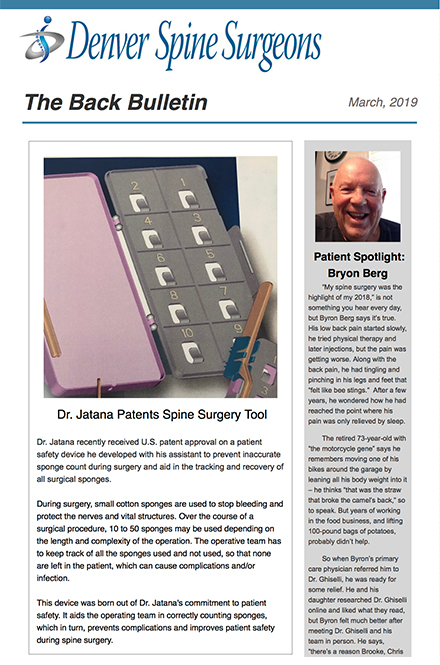 She has worked with Dr. Jatana since 2000, handling patient communication, authorizing surgeries and ensuring that patients have all the information they need during and after their appointments. Toreen has also served as a radiologic technologist in Littleton, Colorado and Minot, North Dakota. Toreen understands that patients are often apprehensive when they find themselves in a situation they never expected. She enjoys being part of a team that has the best interest of patients at heart and goes above and beyond to deliver a positive experience to patients. Toreen earned a Bachelor of Science degree with a minor in business administration from Minot State University, and studied radiologic technology at the Minot School for Allied Health. 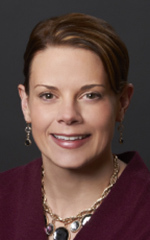 Brooke DiStefano joined the staff of Denver Spine Surgeons in September 2012, after serving as a physician assistant in a private interventional radiology clinic in Pasadena, Texas. In addition to performing detailed spine histories and exams, Brooke also assists with surgery and manages postoperative patients. She says that the best part of her job is educating patients about their upcoming treatment and helping them gain a better understanding of what lies ahead. Because every case is unique, Brooke is also constantly learning and expanding her knowledge of the orthopedic spine field. 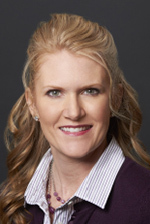 She graduated from the Master of Science Physician Assistant Program at the Baylor College of Medicine and earned a bachelor’s degree in human nutrition and dietetics from Colorado State University.